Parading Butai (Dashi) rode by young men is a sight to see! Experience the frenzy on Sunday night! Arei Jinja is an ancient shrine with a history of over 1,300 years. 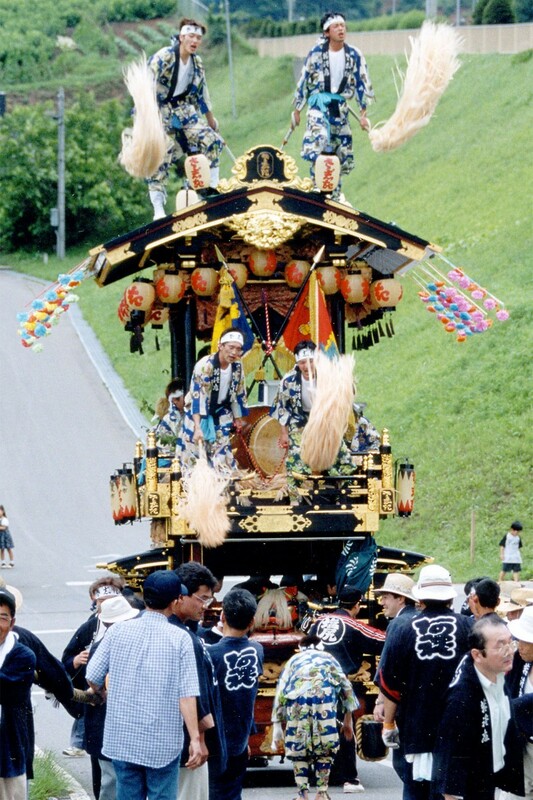 The Arei Jinja Reitaisai is a Senza-sai—a type of festival put on during the moving or relocating of its deity—held annually on the second Sunday of July, and on Saturday the day before. 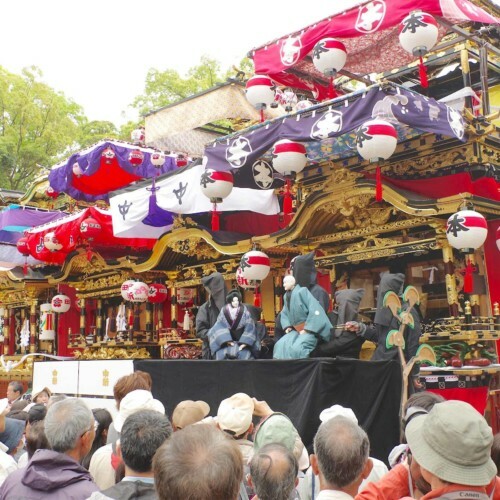 The Oto parade carries the enshrined deity from the Okarinomiya (meaning “temporary shrine”) on festive mikoshi floats to the main shrine, along with offerings of sakaki leaves decorated with colorful paper. 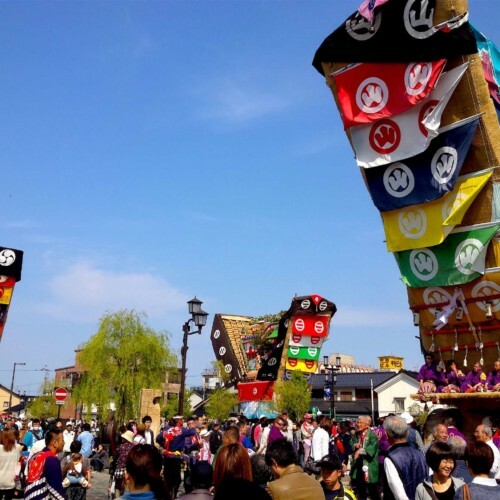 Characteristic floats—known as “Butai” in this festival—hailing from the 7 districts surrounding Arei shrine (Kamimachi, Muromachi, Nakamachi, Miyamoto-cho, Horinouchi, Nagamine, and Sajiki) wildly heat up the festival. The Butai parade the streets on Saturday from daytime into late night. Sunday night is the grand-finale when all the Butai consolidate. 1. 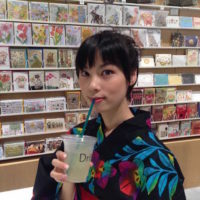 Witness the wild parade of the Butai (Dashi)! 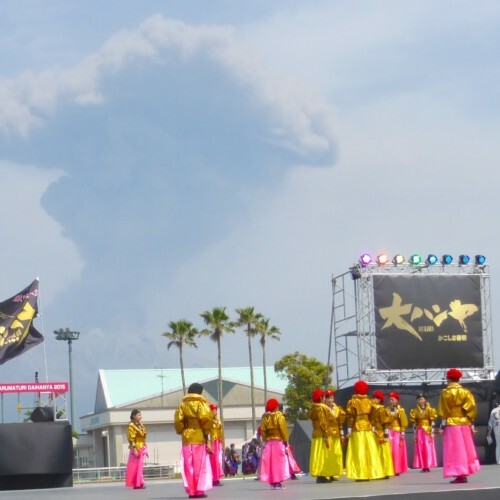 The Butai floats from the 7 districts are all very unique. Be sure to take a very good look at the carvings and decorative artwork. 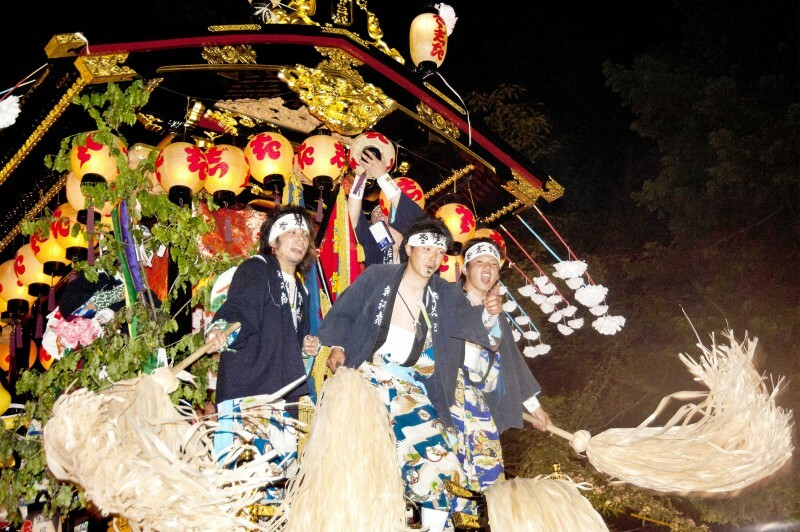 Young men from the towns ride on the roofs of the Butai, waving large dusters called “Ompe” as the floats are tugged around the area. 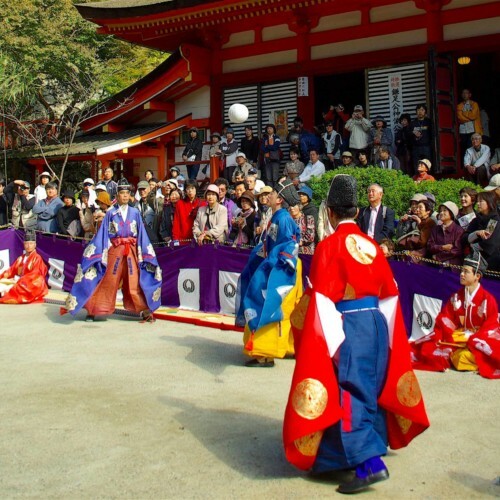 Ochiai, an offerings with chanting, are performed throughout town with the Butais facing each other; another sight you cannot miss. 2. Become one with the town on Sunday night! 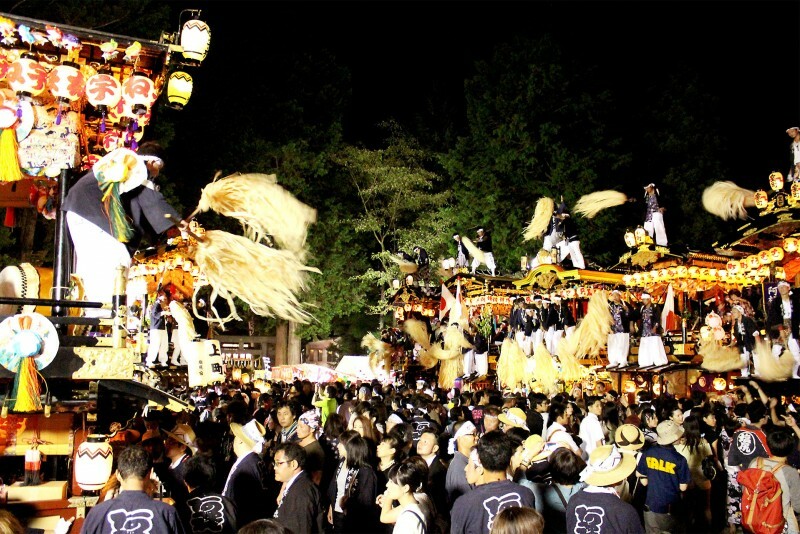 On Saturday during the pre-festival (Yoi-matsuri), Butais from the seven districts parade from noon until after midnight. 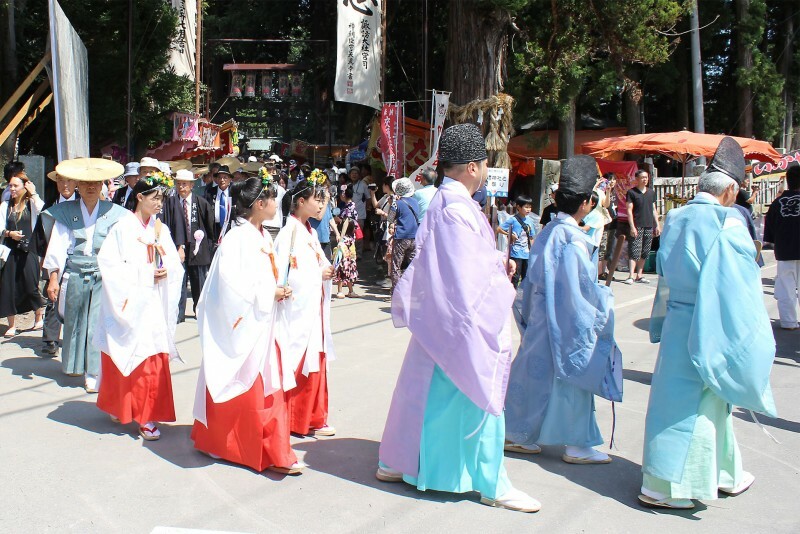 The main festival on Sunday begins at around 4 pm, with each Butai leaving their districts and arriving at the shrine after 8:30 pm, entering one by one. The climax of the festival does not end until the triple calls of “banzai!” finally ring out at 11 pm. There is a sense of oneness felt by everybody there, regardless of being a local or a visitor. 3. Experience the atmospheric Oto parade! 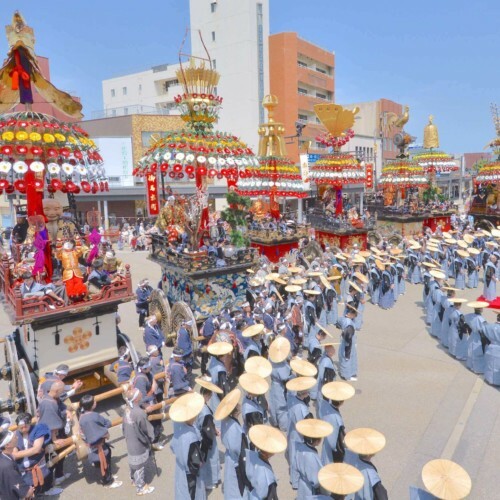 The Oto parade leaves the main shrine to visit the Okarinomiya in Kamimachi district to pick up the deity to be placed on a mikoshi float to be welcomed back. There is a ceremonious atmosphere to the parade as priests and priestesses join on horseback. The parade begins at 2 pm on Sunday. You cannot ride on the 2nd floor or the roof of the floats. Children can ride on the 1st floor. Please do not approach the floats when they are turning around a corner. Please do not approach the floats as they enter the shrine for it may be dangerous.